The road can be a dangerous place no matter how great a driver you are. Thankfully, the 2017 Honda CR-V safety features have been carefully designed and engineered to keep you safe from more hazards. By using smart technologies and advanced capabilities, families and travelers in Newark can avoid rather than minimize the consequences of many accidents. 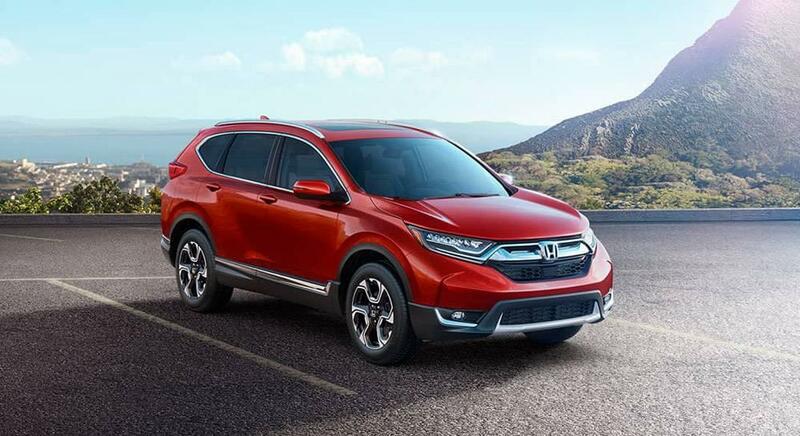 Learn more about what the latest CR-V does to protect you and your passengers, then explore this popular crossover in person in at Metro Honda in Jersey City, NJ. In order to help you avoid rear-end accidents, this system monitors the position of the vehicle in front of you and warns you if a collision is likely. If you do not react in time, the system automatically applies braking pressure. If sensors detect that your vehicle is in danger of leaving the road, a warning immediately sounds. If the vehicle continues to head off course, the system automatically corrects the steering and applies brake pressure. By monitoring the lanes on both sides of the vehicle, this system detects when you begin drifting out of your lane. If you are in danger of leaving your lane, an alarm sounds and the steering is subtly corrected. When you are in cruise control mode, this system monitors the position of the vehicle in front of you and automatically slows you down to maintain a safe driving distance. You then speed back up when the vehicle in front of you accelerates again. Families in Hoboken want to have total confidence their vehicle is safe. The 2017 Honda CR-V delivers on that front and comes standard with Vehicle Stability Assist with Traction Control to provide superior handling in bad weather. The advanced anti-lock braking system helps you to come to a quicker stop. Plus, backing up is easy and safe thanks to the standard multi-angle rearview camera. When you are on the local streets of West New York or Bayonne, the CR-V provides impressive levels of safety and certainty. The CR-V is a tough contender for its competition, as well as one of the most fun and functional vehicles on the road right now. Explore the wide inventory in stock now at Metro Honda, and rely on our friendly staff to assist you with the auto financing process. If you have questions about Honda CR-V safety or would like to learn more about its interior amenities, please feel free to contact us.